March 10, 2014 – Irvine, CA – BigRentz (www.bigrentz.com), the nationwide leader in online construction equipment rentals, celebrated its two-year anniversary. Founded in March 2012 under the name Direct Equipment Alliance, BigRentz launched with one big vision: To make it faster and easier to rent construction equipment of all kinds. The company started when Stephen Jesson, now Executive Vice President for BigRentz, approached entrepreneurs Dallas Imbimbo and Nick Kovacevich with an idea on how to change the equipment rental industry. The three agreed to a partnership and opened their operation. The company began with only 4 employees working from a small, shared office space in Santa Ana, California, but in just two years, they outgrew their home. The company recently relocated to a new a 13,418 square foot Class-A office building in Irvine, California, and now employs more than 40 full-time employees. “It is exciting to see how far we have a come in such a short period of time,” said Dallas Imbimbo, CEO of BigRentz. “We are extremely fortunate to have a group of dedicated individuals who believe in the vision of this company and have helped to build the largest online network of rental equipment in the world,” he added. The company can provide virtually any size equipment for rent through a network of thousands of locations nationwide. With a motto of “Rent Anywhere. Any Size. Anytime.” BigRentz has become the preferred choice of companies, contractors, and individuals who appreciate the ease of finding what they need with just one call. BigRentz has fulfilled more than 10,000 rental requests and continues to experience double digit month over month growth, with no signs of slowing down. BigRentz has revolutionized the way construction equipment is rented. 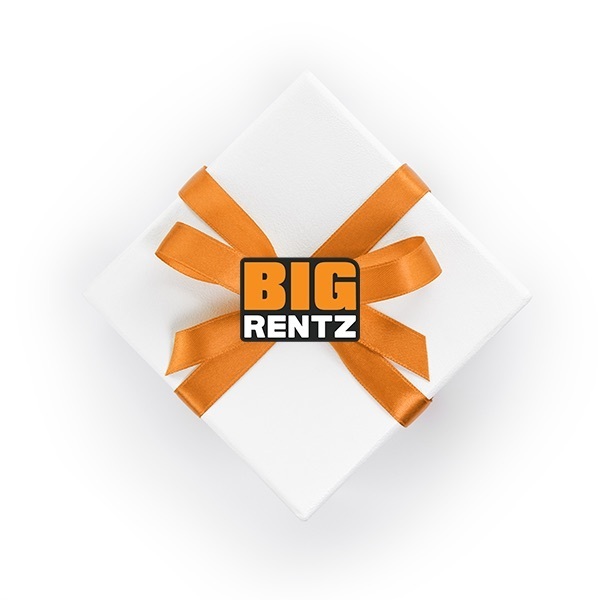 A full-service online equipment rental network, BigRentz is the leader, and your “One Call Does it All” source for equipment rental in over 2000 U.S. cities. No one has access to more equipment than BigRentz. Offering short- and long-term rentals, BigRentz specializes in scissor lifts, boom lifts, forklifts, backhoes and other dirt equipment to meet the needs of small businesses and large contractors alike. No single company can offer more equipment in more locations than BigRentz.com. For more information about BigRentz, to learn more about their scissor lift or forklift rental programs, or to speak with a Rental Expert, call (888) 325-5172, or visit: www.BigRentz.com.